Buyers ask: How many homes should I see before making an offer? 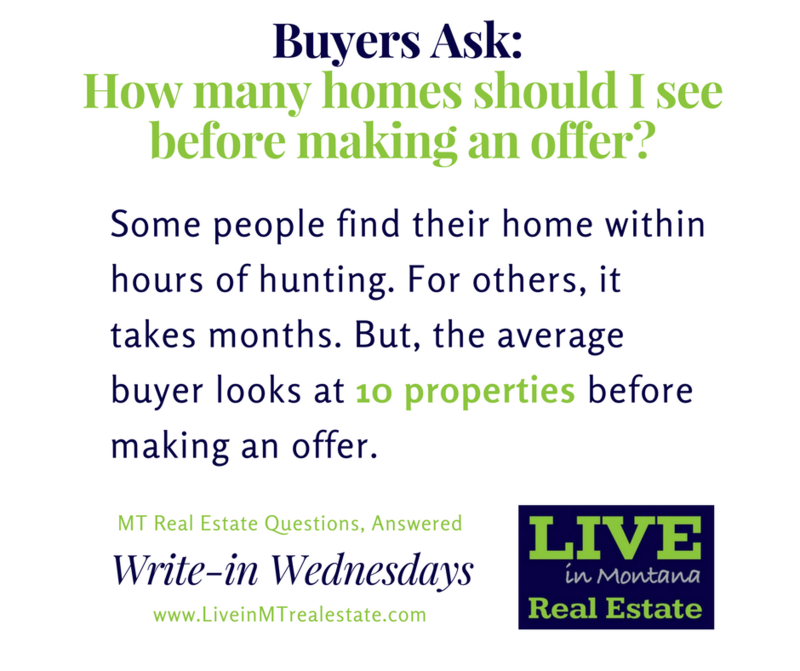 Answer: While home shoppers these days can look at hundreds of homes online, they only hoof it to check out 10 homes on average before they put in an offer. If you want to streamline the process, it can help to really hone in on a particular neighborhood you're keen on; that said, if you feel limited by your options, it may be time to expand to surrounding areas.